Reducing smoking is a noble goal, and something public health authorities have been busy regulating with various schemes of taxes, warning labels, plain packaging, bans on advertising, and more. But it hasn’t worked. Nothing has proven more effective in reducing the harmful effects of smoking tobacco than smokeless alternatives such as e-cigarettes and vaporizers. But it seems American health authorities are not willing to hear this message. In August, the Food and Drug Administration took regulatory control of e-cigarettes and vaping, putting in place strict rules on independent vape shops. Many owners have protested the “crippling” rules. 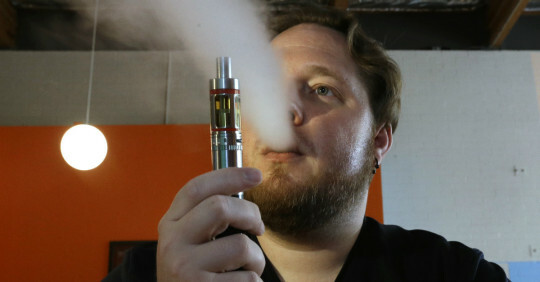 In the U.S. and Canada, thousands of mom-and-pop vape shops are popping up around urban centers, and there’s reason to think these devices could be more effective than legislation in getting smokers to quit. Even more, health experts in the United Kingdom have even taken an opposite approach than their American colleagues. In April of this year, the Royal College of Physicians adopted a clear recommendation on vamping as told by U.K. Center for Tobacco and Alcohol Studies Director John Britton to the the New York Times: “This is the first genuinely new way of helping people stop smoking that has come along in decades.”. Without any evidence to justify their anti-vaping bias, it’s time for the government gets out of the way consumer choice. The market has spoken and has provided an alternative that could get young people to stop smoking altogether. Why would we want to stop that? Yaël Ossowski is a Young Voices Advocate and senior development officer at Students For Liberty.